Hoosier Pet Stop’s goal is to offer our customers pet friendly products, training and support to achieve the highest standards in the pet fence industry. It is our belief that Pet Stop is becoming the standard in the Pet containment industry and the Indiana market among all pet professionals. Dedicated to your pet’s safety is one way to describe Dennis. Dennis has been involved in pet containment since 1995. Each day brings new challenges in the industry and even more rewards. The knowledge that he has gained over the years in the business is unsurpassed. With the variety of dog breeds out there and different ways to design a containment system, chances are there is neither that he has not handled before. Dennis spent most of his young years in northern Indiana near Hammond. His family’s decision to move back to their roots led him to southern Illinois where he resided until 1988. It was back to the Hoosier state in 1988 where he has resided ever since. It was in Indiana that he met and married Claudette. 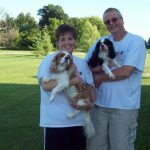 Married since 1991, two children, two dogs and a fish they happily reside in “Blackhawk Country”, Sheridan Indiana. Dennis has worked in a variety of fields from landscaping to factory work until he reached what he feels is his calling. In 1995 he had the opportunity to work with a competitive company working with recreation equipment and pet fencing. It didn’t take long for Dennis to realize that pet fencing is where he belonged. 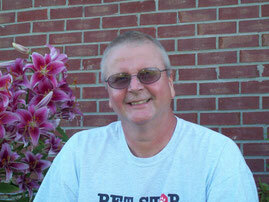 After 10 years with that company he began working with Pet Stop of Central Indiana. 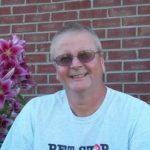 Pet Stop’s well made, safe products and the fact that they are the only company still manufactured in the United States was a win win situation for Dennis. What a better way to keep pets safe but with a product that is safe, effective and supports the United States. After a couple of years with Pet Stop of Central Indiana, he had the opportunity to start his own dealership. With a heart felt discussion it was an easy decision for him and Claudette to start Hoosier Pet Stop which was born in October 2007. From as early as she can remember, Claudette has had a dog as part of her family. As an only child, Claudette had the pleasure of constant company of her family dog. Needless to say, her love of dogs has continued into adulthood and carried over to her children. 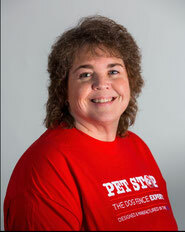 She considers Hoosier Pet Stop customers as extended family and most importantly, their dogs as her own. The dog’s safety is her utmost concern. Claudette was born and raised in Indiana. For over 44 years she has resided in Sheridan Indiana which has the comfort of small town living. 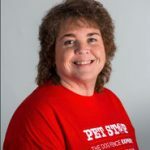 Good high school football, small schools and friendly people have been a blessing for her family and the decision to make Sheridan the home of Hoosier Pet Stop.